not just home building, is at the core of everything we do. All because of your support! 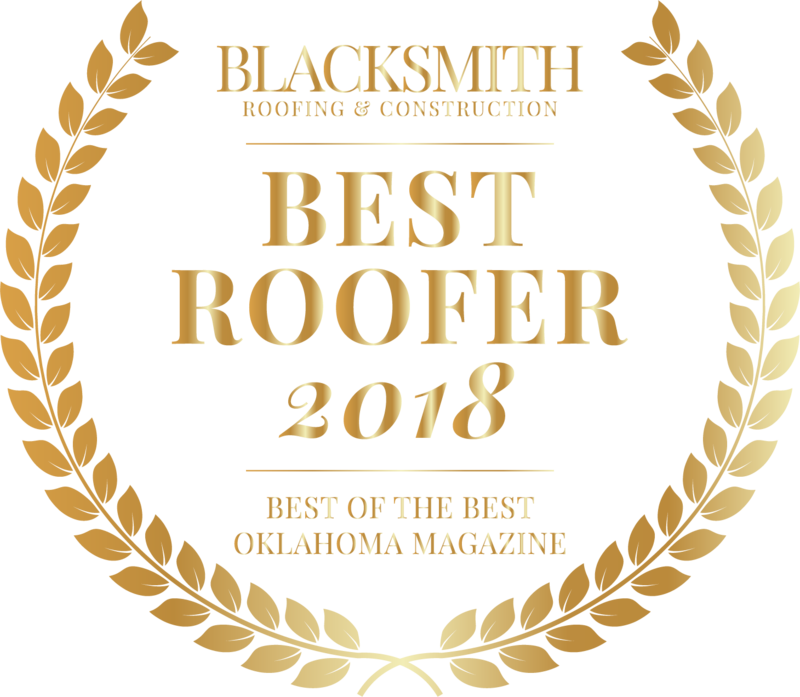 We are so proud to have been voted the Best Roofer in 2018 in the Best of the Best awards from Oklahoma Magazine. It’s all thanks to our awesome Blacksmith Roofing family—and that includes you! We are forging FAMILY, VALUE, and RELATIONSHIPS, one customer at a time! 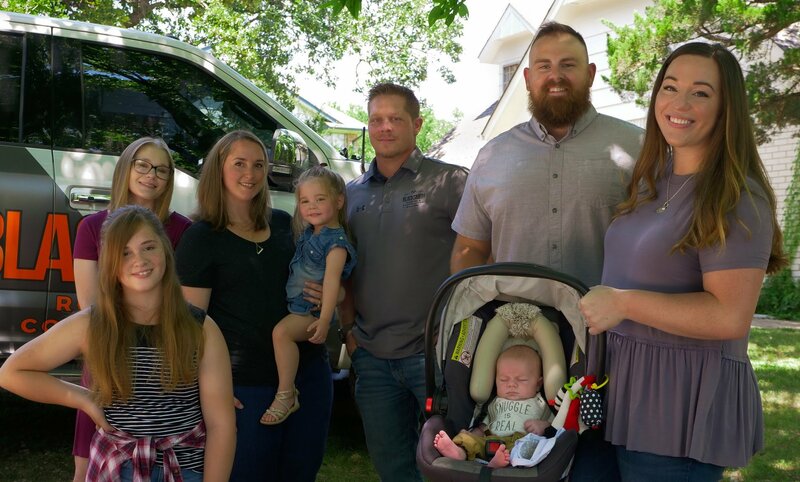 We’re an experienced and driven company that understands the value of family and will stop at nothing to bring our customers the best quality and customer service. 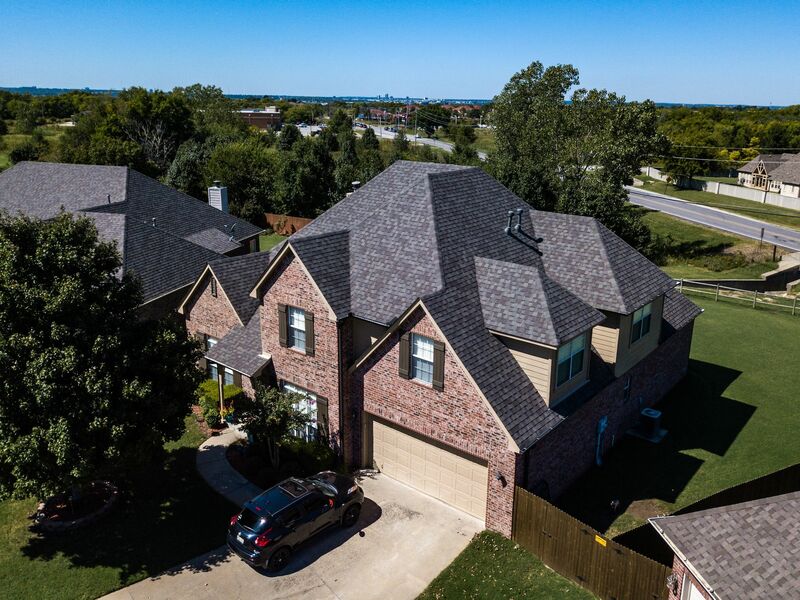 We understand the process our customers go through involving insurance and making sure that the roof they are moving into is going to last them a long time. That’s why we’re committed to sticking with you through the process and making your experience easier! 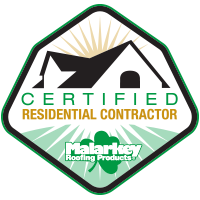 Our 50-year non-prorated warranty with all Full Roof Replacements makes it easy for you to feel confident, not only in the work we do for you, but also that you and your family is set for a long time. In a rough situation with a roof leak? You don’t have to be stranded when the next storm hits. 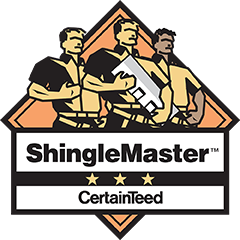 We’ll come to you and make sure that your set with a free tarping to assure that your house isn’t being further damaged while we work out the details. 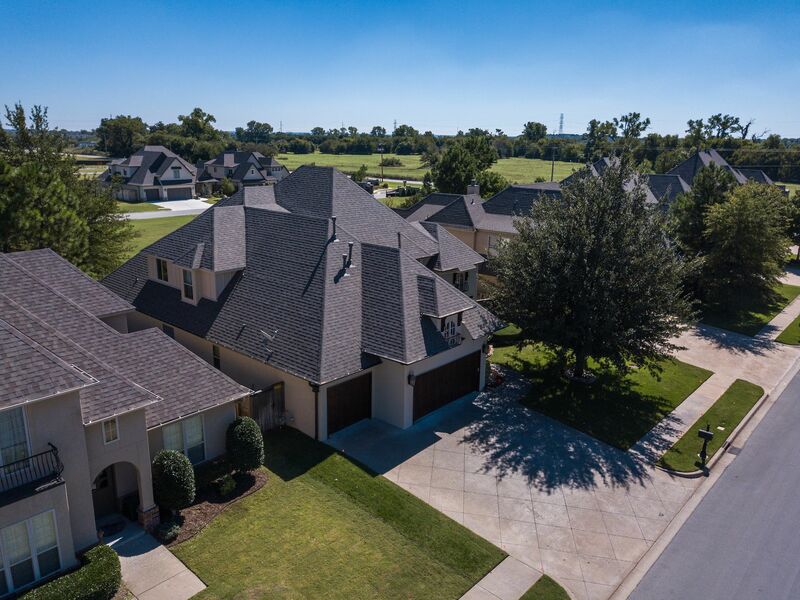 When we replace someone’s roof, we’re with you for years to come to assure that you never have to worry how you’re going to keep your roof maintained. 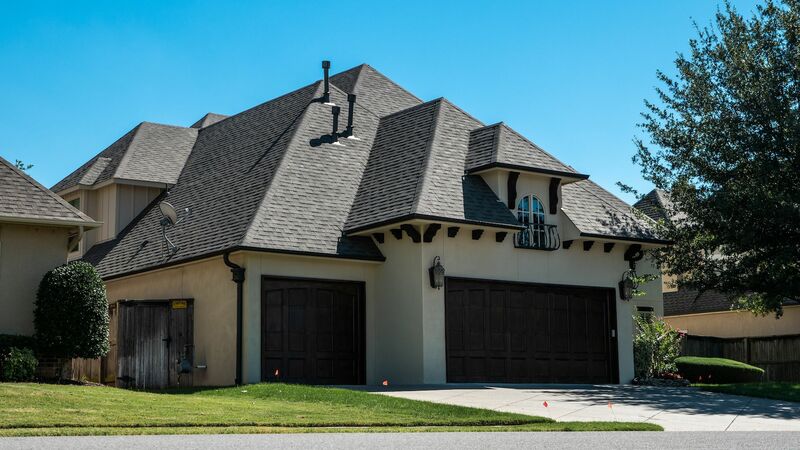 You’re guaranteed with our roofs that you’re getting the best quality, but more importantly, you’re getting support from us that makes the whole process even better.  Blacksmith Roofing & Construction is a different kind of certified roofing company. Truly. We care a lot more about your needs and safety than a profit margin or making sure that we always look good. That’s just how family operates. We make sure that you’re never stuck without help when you need it. Every project we undertake, we do so with our Ironclad Ethics in mind. They’re a set of high standards for how me manage our materials, pricing and client relationships, so that everything we build, we build with integrity. At the end of the day, you’re going to get an incredible roof, great experience, and relational equity with a company that’s close to home. Blacksmith Roofing did a great job on my new roof. From start to finish it was professionally done. I would recommend Steven and Blacksmith to anyone needing a roof. Steven and Preston made the process or replacing our roof easy. They walked us through every process from meeting the insurance adjuster at our house to going over the insurance paperwork and making sure the roof we chose matched our HOA specifications. They were extremely straight forward and honest about the process and were spot on every step of the way. Our decent sized roof was put on about a day and a half by an extremely courteous group of guys who were thorough and nice. I expected to find at least something left behind like a nail or small debris and couldn’t find anything and landscaping was protected. I would definitely recommend them to anybody I come across needing a new roof. I've known and worked with the guys at Blacksmith for years now, and they'll always be my first choice to refer to my clients. Professional, fun, fair, and most importantly HONEST. 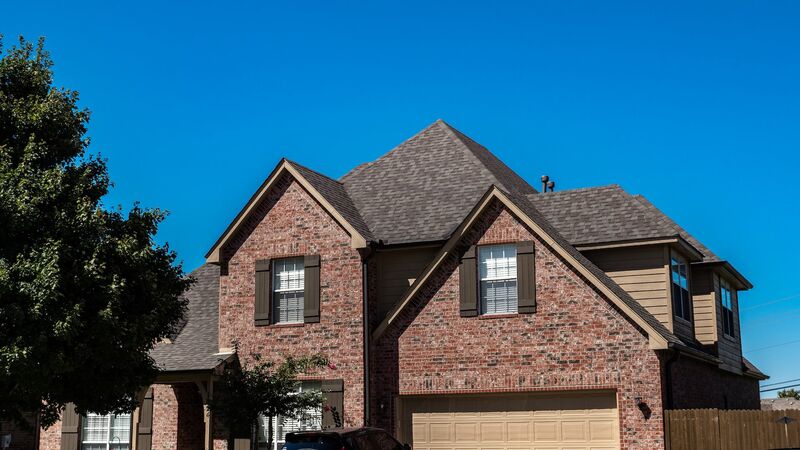 If you need a roof looked at, call them with confidence. Blacksmith roofing is an excellent company for your home! Benjamin was our house inspector and came out all the way from Tulsa. He was nice and did a thorough inspection, totalling it out. He even took the time to speak to our insurance company! He handled everything from there! The job was done in two days. The labor workers kept their job site clean and picked up everything! I absolutely love my new roof! I’ve never had to replace my roof, but Steven and Preston made it easy. They worked with my insurance company and made it hassle free. The roof was done in a day and there was no damage to any of my landscaping. I ran my own magnetic roller around after they were done with cleanup and only found 2 nails in the yard. Would definitely recommend Blacksmith Roofing! You will not find another roofing company that offers this kind of service! Unmatched quality, integrity and amazing construction knowledge. Thanks guys for going above and beyond, I will definitely be recommending you to family and friends. Blacksmith roofing truly treated me like you want to be by businesses these days. Steven was straightforward and honest with all information and gave me insight into the process of getting a new roof and what to expect. Then they had an opening sooner than planned got a hold of me and got the whole roof done in 1 day and it looks fantastic. I would highly recommend them as a first choice to anyone looking to have roof work done. I can't say enough how pleased I was working with these guys. They were super nice and great to work with. We discovered a couple leaks in our ceiling when it was raining pretty hard and Blacksmith walked me through making a claim for a new roof with our insurance company. They worked with us on the price and were in constant contact with us throughout the whole process. I would highly recommend them to anyone I know. Due to unusual circumstances, we met several principals from sales rep to owners. We found them knowledgeable, communicative, and personable as well as professional. The job was performed on time and at expected cost. The cleanup was complete and the resulting roof looks great. We had a rainfall the night of completion and into the next day and no leak! We would recommend Blacksmith Roofing. Blacksmith is an excellent choice for a roofing contractor. I always refer my clients to their team. Their ethics and values are top notch and I never feel that my clients will receive a poor experience. Plus who doesn’t love a free inspection? They come out with experience and knowledge and deliver to you the best solution for your home. Next time you need a roof try blacksmith. Ready to ask some questions? Click the button below to go to our contact section where you can start asking questions and seeing if we’re the right fit for your home.